Digital marketing has become a circus ac. A recent IDG study found that the majority of marketers are juggling at least 6 channels—usually more—and have to continually analyze, optimize, and quantify the effectiveness and investment in each of them. But without accurate attribution and centralization, you’re constantly off-balance, it’s a long fall for both your campaigns and your ROI. And looking at each channel in silos means missing out on important trends and opportunities. 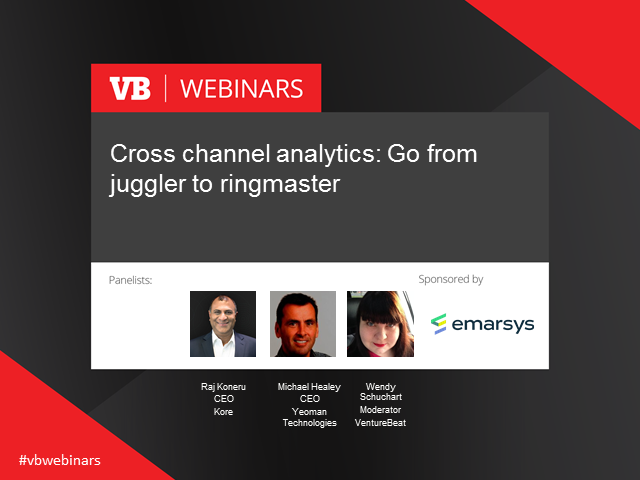 But all is not lost: In our latest VB Live event, join the digital marketing ringmasters who have harnessed the power of cross channel analytics. They’ll share exactly what it takes to break down the silos, contextualize performance, and back your biggest business decisions with flawless, in-depth analysis.